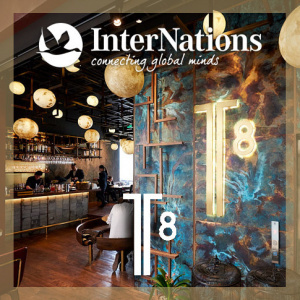 Join us in the French Concession at the iconic T8... voted one of the top 50 best restaurants in the world by The Diners Club. Now in the newly developed, modern space of the French Concession with an amazing terrace looking out over the lake of Taipingqiao park. It's located on the top floor of the new mall at the cross of Hubin Lu, Jinan Lu, with a giant terrace on top of the building. We look forward to see all of you on what is surely be a beautiful night in the French Concession. As always, be ready to meet fabulous people from every corner of the globe. The Dress code is Smart Casual.